"You're surround by students who have the same goals as you. Everybody's academically driven and ready to go out and do service in the community to spread God's name." The Honors Academy promotes exceptional academics, leadership and community service among students. Through service opportunities, leadership summits, and college visits, students are given every opportunity to excel in their learning. Begun in 2014, program involves academic rigor and discovery, creative processing and research, mentor directed community service and leadership development as well as student bonding and support. Students apply for the program and are selected based on receiving Pass Plus in English, math and social studies on their seventh-grade ISTEP tests or based on the PSAT scores during their freshman year. Students then submit a creative response before interviewing with the selection committee. Over the course of their four years at Concordia, students will be required to take Advanced Placement and dual-enrollment courses; attend lectures and training for leadership awareness, cultural growth and community networking; and complete community service hours each year, ranging from 15 hours as a freshman to 35 hours as a senior. All the while, students will be expected to maintain academic excellence with high grades and then demonstrate their work through a senior research project. Upon graduation, these students will receive distinctive recognition on their diploma and during the graduation ceremony. 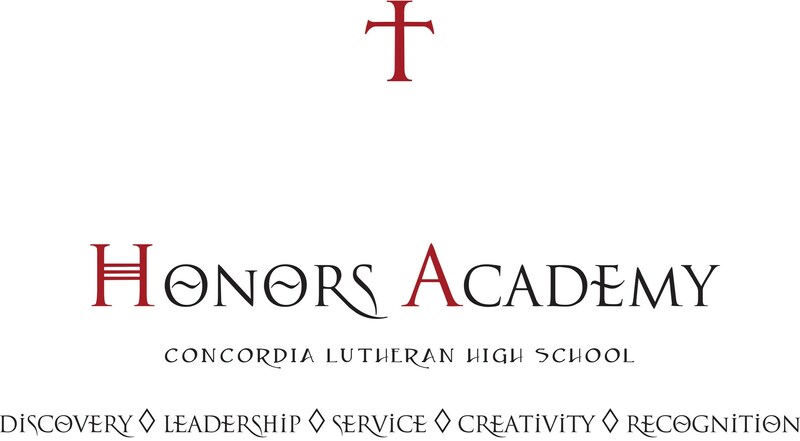 To learn more about the Honors Academy, contact Mrs. Luanne Erdos at lerdos@clhscadets.com or 260-203-4575.